You are here: Home / Whats New? / News and Events / 5 NEW Videos added to HDPhysiques – JOIN TODAY! Our NEWEST Model is WPD Competitor Brittany Bennett - AMAZING MUSCLE - PLUS HOLIDAY PROMOTIONS! 3 NEW MODELS in ONE WEEK! 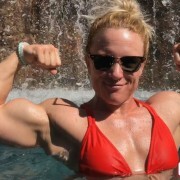 Check out Bianca Scott – IFBB Pro Physique... NEW VIDEOS of Carli Terepka and the 16″ Arms of Alli Schmohl!